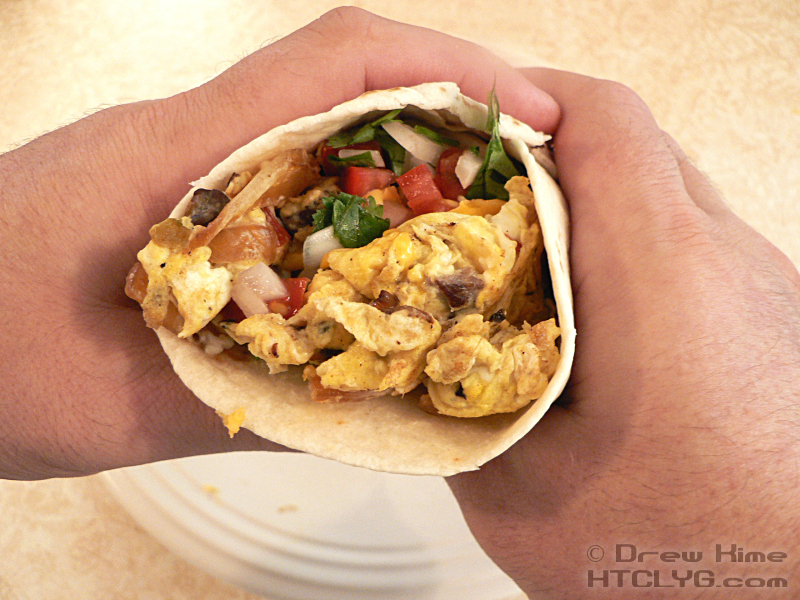 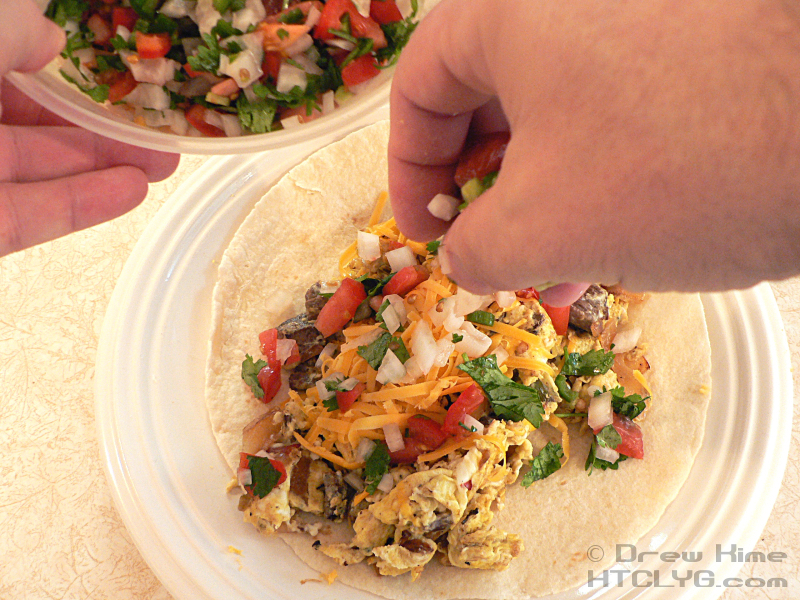 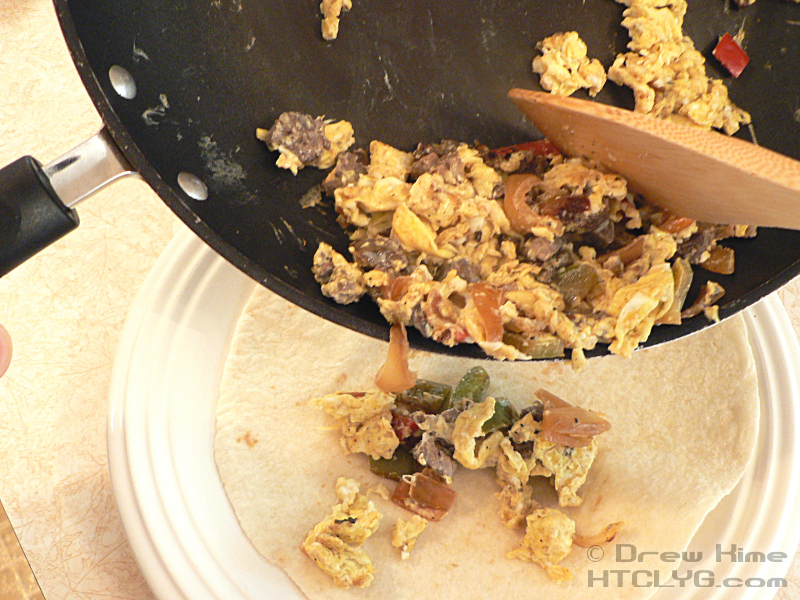 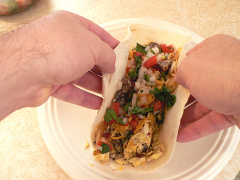 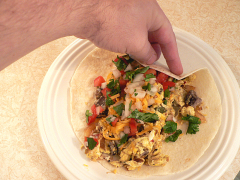 So here it is, how to turn leftover fajita fixin’s into a killer breakfast burrito. 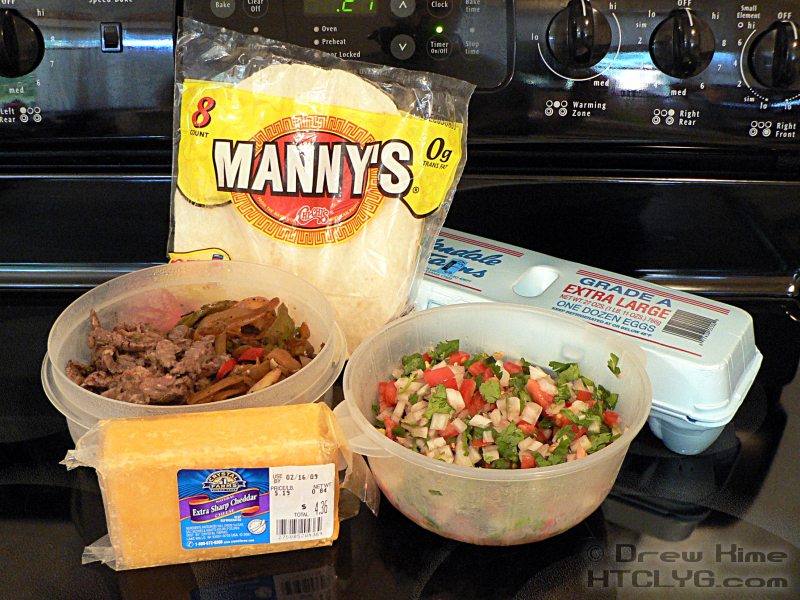 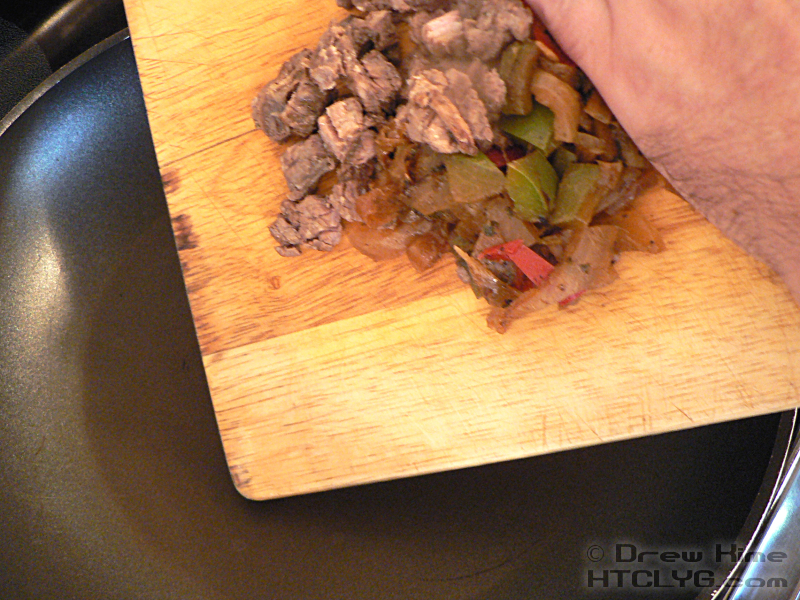 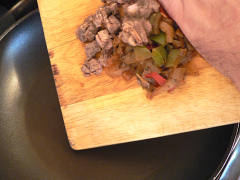 Grab just a little less steak, peppers and onions than you would use for a regular fajita, and dice into bite-sized pieces. 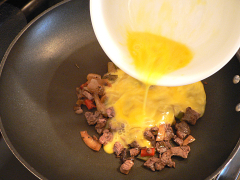 Heat over medium heat until warmed through, then add two eggs. 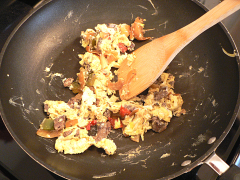 You can beat them first, like I did here, or just crack them into the pan and mix it up. If I had been more awake, I would have saved myself the extra bowl to clean and done it right in the pan. 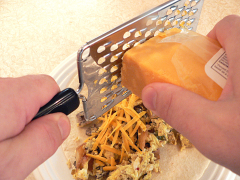 Grate some cheese on top, and add a couple of spoonfuls of pico de gallo. Lift up the two sides of the burrito to get all the fixin’s centered. Fold up the bottom of the tortilla, to keep everything inside, then wrap the sides around. 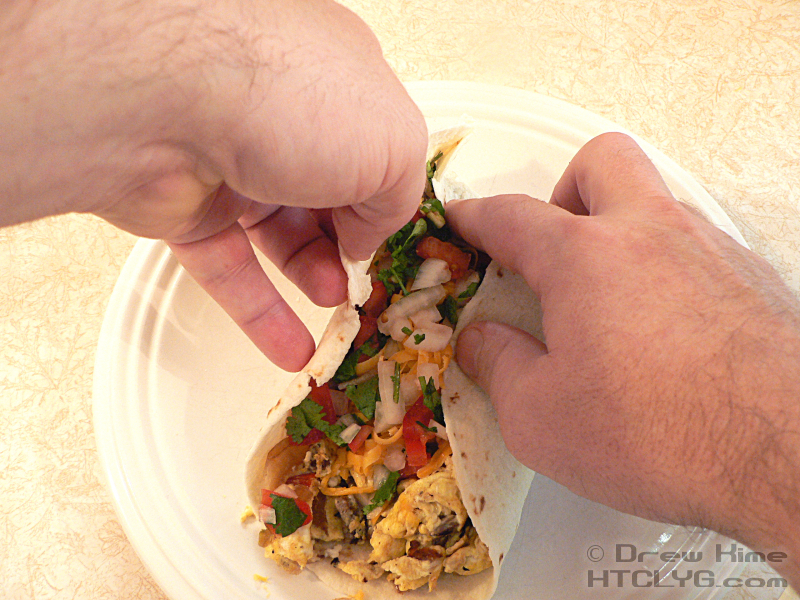 If you overstuffed it, like I did — like I always do, actually — you’ll need both hands to keep it all together. 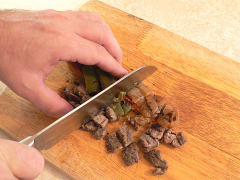 And you won’t be able to put it down until you’re done, or it will all fall apart. 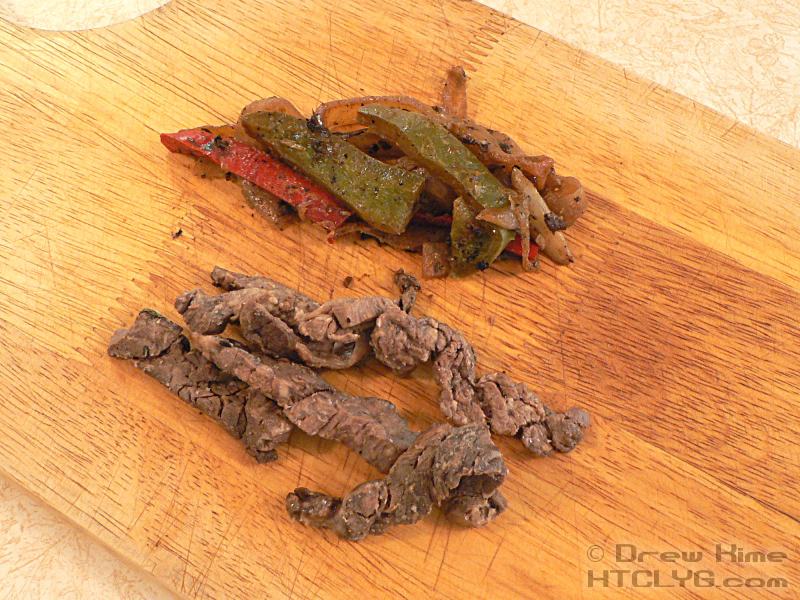 Grab just a little less steak, peppers and onions than you would use for a regular fajita, and dice into bit-sized pieces. Heat over medium heat until warmed through, then add two eggs.